By supporting our work, you can help us continue to bring about lasting change in the lives of thousands of people in City. & consider making a regular donation. Sign a debit order form and donate any amount you are comfortable with. By making a regular donation by direct debit each month you will provide invaluable support to our work. Many people find this a simple and convenient way of showing their support. Giving in this way allows us to plan better for our various initiative and long term projects. Click here to complete and submit your details. All information is completely confidential and City Mission will not sell or exchange any of your information. Because City Mission is an approved Public Benefit organisation, you will qualify for a tax deduction from SARS. We will issue you with an annual Tax certificate for your submission. Instead of a financial gift, perhaps you would like to consider supporting City Mission with goods or services that will benefit our organisation. There are continuous needs that can assist and benefit both us and those we serve in a huge way. Below is a list of ongoing requirements that will go a long way in assisting us deliver our mandate on a daily basis. Womens cosmetic & hygiene products (Handbag project): Sanitary Towels, Deodorants, Body lotions etc. Call our reception at 021 486 7660 or send an email to arrange a suitable collection or delivery time. 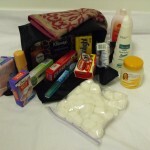 Prepacked care packs are an easy and convenient way to make a donation. This is a wonderful ‘tax deductible’ way you can help us acquire very specific and much needed items or food for the clients we serve. 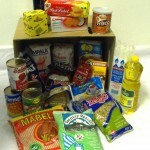 Food Packs: This carefully selected grocery items are essentials and can serve as a base to feed a family of four for a month. 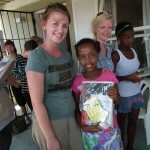 A sponsorship of R350 will secure this for a family. In addition we package it, personalise it with your name on it as a direct gift for a specific family. 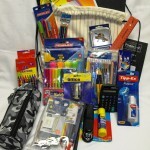 Hygiene Packs: Items for daily cleanliness and hygiene are not very often on the shopping list of the people we serve. By sponsoring these essential items, for only R280 you will assist a family of 4 to have much needed items to stay clean and healthy. Educational Packs: Some children battle with the daily challenges of school, purely because they don’t have what they need to make their learning a good and satisfying experience. Help us to give them a sense of confidence and pride when they receive a neatly packaged sponsored pack of educational supplies of R300, appropriate for their grade. To sponsor a pack to City Mission, please complete the form, and send this with a confirmation of payment to email@citymission.org.za. Volunteer your time: “Not everything that counts can be counted. And not everything that can be counted, counts.” — Albert Einstein Join our volunteer programme and become a valued member of City Mission through giving your time for a few hours, weeks or even months… or longer. 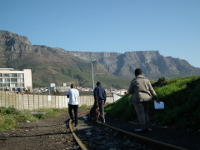 Please call our office on 021 486 7660 or send an email for information on how you can get involved.